Learn how search engines work. Attract website visitors. New to Search Engine Optimization? Maybe you need to brush up on some latest trends and tactics? Learn the Basics of SEO has been read and downloaded thousands of times and provides the information you need to help you manage your own SEO or hire out the right company to drive intended results for your business. 1. How do search engines work? 2. How do people use search engines? 3. Why is search engine marketing necessary? 6. Semantic search (usability/context) affect search rankings? SEO is a marketing strategy that focuses on improving a website to attract more online visitors through organic (not paid) search engine results. It involves both creative and technical elements required to improve rankings, drive more online traffic, and facilitate awareness in and through search engines. It’s a complicated yet manageable tactic for many businesses, although certainly not all. There are many different components to SEO, from the content on your web pages, to managing headings and URL structures, to the ways that other websites reference your site through what we call backlinks. Sometimes SEO is simply setting up your website in a way that is easily “understandable” for search engines. Our guide is intended to outline all the major areas of the search engine optimization trade – from identifying keywords and search terms that your target audience is using online, to making your site easy for search engines to understand, to developing strategies for building links focused around the value of your website content. If you’re confused…no worries. You’re definitely not alone…and we’re here to help. Well, it might not. Perhaps your target customers don’t look online for your goods or services. Maybe you sell extremely unique products directly to specific customers using other channels. Maybe nobody looks for your stuff online. However, if you consider the typical buying process today (think of the last time you bought something significant), it almost always begins with researching alternatives online. You may have Googled “landscaping services in Glendale”. The websites you found, and the order in which they appeared is where SEO comes in. Most website traffic is driven by the “big boys” of search engines, Google, Yahoo! and Bing. It’s true that there are other ways for people to find your website, like social media, but these search engines have the lion’s share. Driving targeted traffic to a website provides an audience, publicity, leads, and net new business like no other marketing alternative. Once the “flywheel” gets going, an investment in SEO brings unparalleled rates of return on investment. How much of this stuff do I need to read? It depends where you’re coming from and how serious you are about SEO. We recommend reading everything from beginning to end. We’ve tried to keep it understandable, without wearing you out with too many technical details. We have a printable pdf version if you prefer, along with a bunch of related resources and pages that we hope are worthy of your time and attention. 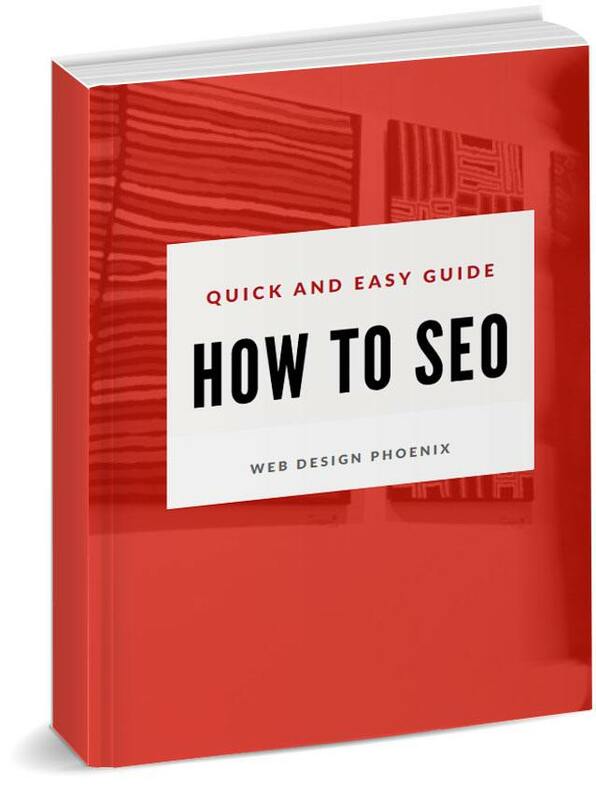 Each section of the guide is important if you’re hoping to gain a complete understanding of search engine optimization best practices. Why can’t search engines just figure out my website on their own? Search engines are hugely complex organisms. Super advanced algorithms help them interpret all that the web has to offer, parse out information that the user cares about, and displays best fit results in a matter of milliseconds. That said, it’s not perfect. Really smart guys (and gals) are always looking for better ways to crawl the web and return the most accurate results to users. The right SEO moves can elevate rankings for your website and help to deliver more valuable traffic and exposure. Conversely, a few missteps can relegate you to the bottom rungs of search results with minimal visibility. SEO makes your website content more available and understandable to search engines. In addition, SEO helps to boost rankings so that your content is positioned where people are more likely to find it. It’s a super competitive sport given so much potential upside. Organizations that execute intelligent SEO have considerable advantage with more visitors and prospects. Can I handle SEO by myself? The game of SEO is complex, especially out in the deep end of the pool competing with larger companies with deep pocket and staff. That said, most people can understand the basics and make a considerable difference on their own. Free information on SEO is available all over the web, including in guides like ours. That, along with a little practice, some trial-and-error, and you’re on your way. Limiting factors will be your time commitment, your willingness to investigate and learn best practices, and the complexity of your website and/or industry. You might decide that your energy is better spent elsewhere and you need an expert to handle this stuff for you. SEO firms vary. Some specialize in narrow segments of the market, while others take more of a general approach. Either way, a grasp on some fundamentals will help you make more informed decisions. What does search engine crawling and indexing mean? Think of the internet like a huge network of stops for the mailman. Each stop is a unique web page or perhaps a document (pdf or some other file). Search engines need a way to traverse the entire city making sure they hit every stop along the way. They use the best means available to them – links. Links bind all web pages together. Links allow both humans and search engine robots (aka “spiders” or “crawlers”) to reach everything on the web. Once they find these pages, they check out the code and store pieces of information in enormous databases, to be accessed later based on a new search query. Search engine companies have built data centers all around the world to accomplish the monumental task of storing billions of pages, reachable in a fraction of a second. Each of these locations house incredible systems designed to process large amounts of information very quickly. People don’t like to wait for results, so search engines work really hard to offer answers as quickly as possible. How do people use search engines? The most important part of a good SEO strategy is understanding your audience. Once you learn what your target market is searching for online, you can better reach and retain those users. Search engines have changed over the years, but the basic concept of conducting a web search has remained pretty much the same. 1. A person experiences the need for information, a solution or an answer. “DO” Queries or Transactional Searches – I want to buy something or do something like read a book or reserve a hotel room. “KNOW” Queries or Informational Searches – I need to learn something, like the name of a politician or the best golf course in Orlando. “GO” Queries or Navigation Searches – I want to be taken to a particular place on the internet like Twitter or to the National Hockey League’s homepage. When users search in these ways and are taken to your website, will they like what they find? This is what search engines are trying to figure out every day all day. The search engines don’t care about you or the success of your company. Their responsibility lies with the user, and serving them relevant results. Ask yourself what your target customers are looking for and be sure that your website gives it to them. Why is search engine optimization necessary? SEO is all about making your website understandable for both users and for search engines. Although search engines are very complex, and are continually gaining sophistication, they still don’t see web pages the same ways that humans do. SEO helps bridge that gap, helping search engines figure out what websites have to offer, and whether it may be useful to users. Let’s say you’ve posted a photo of your cousin jumping into the swimming pool. A human might describe this shot as a “cute kid, with a red bathing suit, with a funny grin, flying head first in the air”. But the best search robots in the world can’t come even close to understanding this photo so well. How does a search engine understand a photograph? Fortunately, SEO allows for ways to give search engines clues to help them understand what they are looking at. In fact, this practice is essential for good SEO. Learning about the abilities and limitations of search engines allows developers to build, format, and configure content on your website in a way that search engines can understand. Without SEO, search engines can’t see your website. Are there any limitations of what search engines can do? • Gated content – anything requiring logins or completed forms will remain hidden to search engines. • Copied content – duplicate pages or copied text is a major problem in the eyes of search engines, which look for completely unique content. • Poor architecture – links help crawlers move from page to page. Broken links on your website will prevent search engines from reaching all your content. • Non-text materials – although it’s getting better, search engines have a really hard time interpreting any non-HTML text, and rich media format – images, flash files, video, audio, and integrated content. • Mixed context – let’s say the title of your article is “classic cars of 1960”, but the post itself talks about fishing trips in Alaska. These mixed signals confuse search engines. How can I make sure my website gets seen by search engines? The basics of on-page SEO are really important, but once you’ve got it covered, you also need to market your content. Search engines are designed to assess best fit in terms of relevance, but they have no internal means to assess the quality of your stuff. Instead, search engines measure the importance of what you have out there by measuring and tracking what users do: what do they find, do they react or comment, and what are they linking to? You gotta get your content shared, talked about, and linked to. When search engines came on the scene back in the 1990’s, shady tactics like manual submission, keyword stuffing, and meta tags were all necessary to get ranked well. A few years later, buying tons of fake inbound links through automated blogs and directories was the norm. Still later in 2011, social media marketing gained big impact. Search engines have refined their technology to evolve with these practices. What worked in 2001 could really hurt you today. 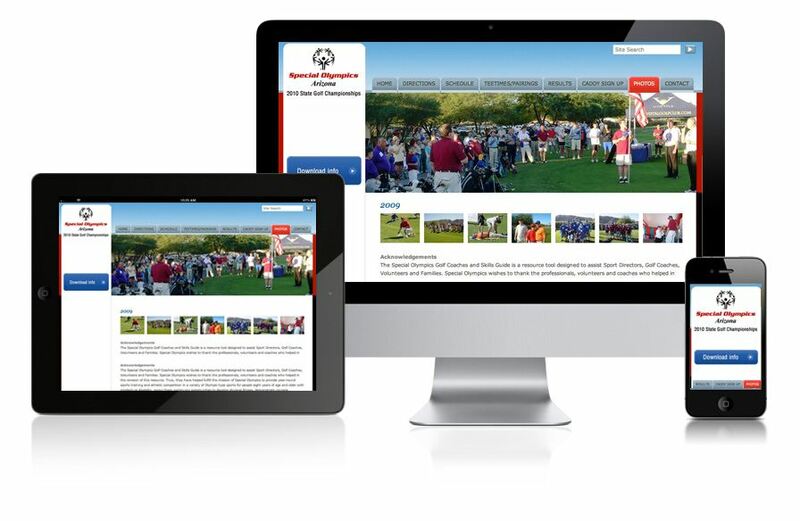 Websites are competing for attention in search engines, and those with the ability to improve their website’s ranking will receive increased traffic and attention.